Try to purchase dry-aged meat as it will add more flavour to the dish. The aim is to get a good char on the outside while keeping the meat juicy and tender on the inside; this is difficult with a thin piece of meat so ensure each steak is at least 8-10 oz and 4 cm thick. The success of your meal is in its preparation: always cook your steak last minute. You want the steak to be at room temperature beforehand so take it out of the fridge at least half an hour prior to cooking. Always season before grilling with good quality salt and pepper. 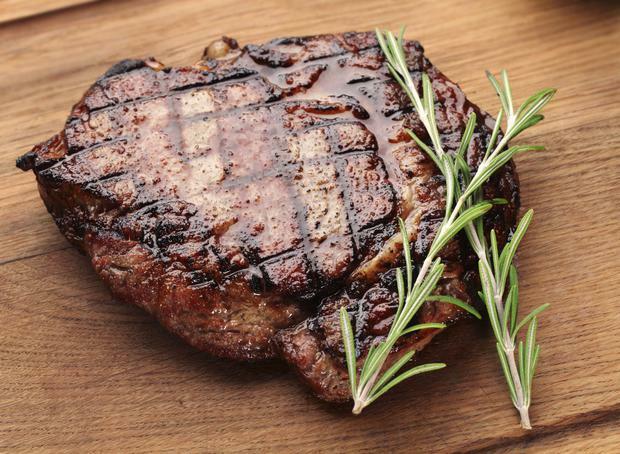 Oil your steak using high burning-temperature vegetable oil like rapeseed oil. Make sure your grill is very hot before placing the meat on it. Leave it for a couple of minutes before turning. Carry on turning every couple of minutes until it's cooked to your preference. When you are happy with how it's cooked, put the steak on a rack to rest for at least five minutes.